Obsessive Sweets: Butterfinger Bets a Million (Butterfingers) on Manny! Butterfinger Bets a Million (Butterfingers) on Manny! There's so much hype surrounding the Pacquiao - Mayweather fight on May 2. It's huge news and even bigger business. 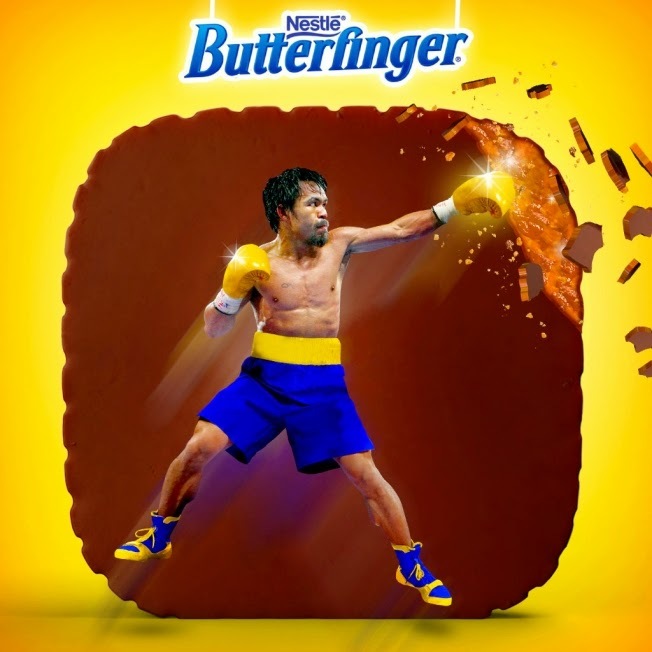 Nestle Butterfinger stepped into the "ring" early and cast its vote for Pacquiao (as do I!) by publicly betting a million on Manny Pacquiao- a million Butterfingers, that is. Clever marketing, Butterfinger!! To read more via Ad Week, click here.